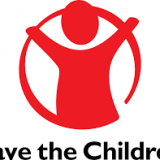 To provide professional support and assistance for the development and management of Human Resources functions within the Humanitarian team, for the development and maintenance of policies & procedures, for staff welfare and the promotion of the Child Safeguarding Policy. Participation in the organisation of trainings and maintaining a list of trainings conducted. Support in researching training opportunities as prioritised by the Humanitarian Management Team or as requested by Supervisor. Under the supervision of the HRAM, lead in the recruitment of all national positions.